The diploma is established by RCWC in honour of our beautiful half - the International Women's Day - the 8th of March. 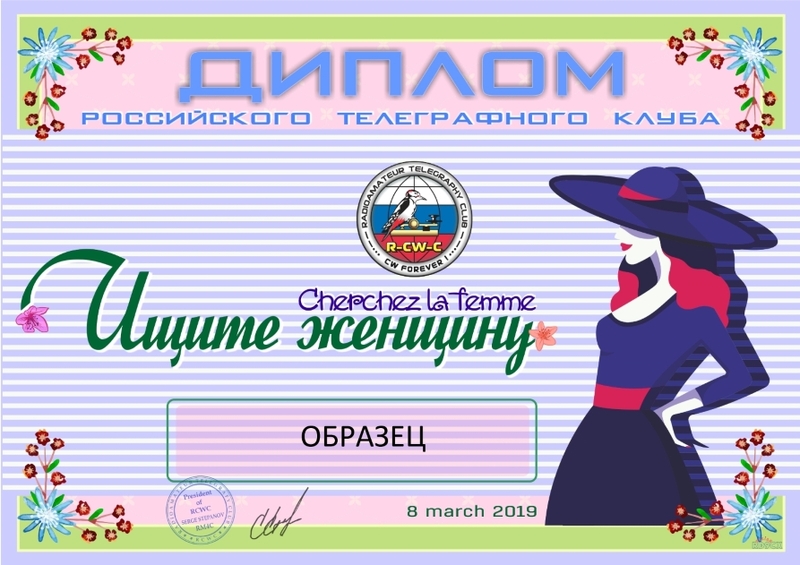 - Men-radio amateurs have to conduct not less than one contact with women-radio amateurs from any country of the world during the period from the 4th to 10th of March, 2019. Contacts are valid if there are female names or YL(XYL) in received report. - Women to radio fans need to carry out from March 4 to March 10, 2019 not less than one radio communication with any radio fans from any country of Mira to the period. - All women radio fans members of RCWC gain diplomas behind number 1.